“The only thing constant is change,” a philosopher once observed. We are reminded of this every day in trends, technology, and the general zeitgeist; regardless of whether we are receptive or resistant, we know that change is inevitably around the corner. This adage characterized my work as a graduate intern in the Phillips Library, where I spent most of my time cataloging shipping manuscript material. I am studying Library and Information Science with a concentration in Information Organization, and in the library I had the opportunity to combine what I’ve learned with my passion for rare and unique items. Perusing the shipping manuscripts collections, I could see change manifested in many ways: political turmoil transformed the need for and intended purpose of vessels; the introduction of new technologies increased efficiency and facilitated more recreational use; the boundaries of municipalities shifted alongside land use, with farmland giving way to more condensed, urban living; and laws were enacted and enforced, prompting new practices and procedures. Letters written on handmade laid paper and sealed with wax were eventually eschewed in favor of typewritten letterhead and machine-produced paper of varying colors. The language employed and attitudes expressed therein were as fickle as our own cultural idiosyncrasies. This variation found amongst the items lent a feeling of chance to creating catalog records—a practice typically characterized by its numerous standards and conventions. This underlying theme of perpetual, unavoidable change, however, was suddenly called into question on the day that I opened a large, leather-bound photo album labeled “Mount Desert Island.” Those of you who are familiar with the location will know that the large majority of Maine’s Mount Desert Island is covered by Acadia National Park. 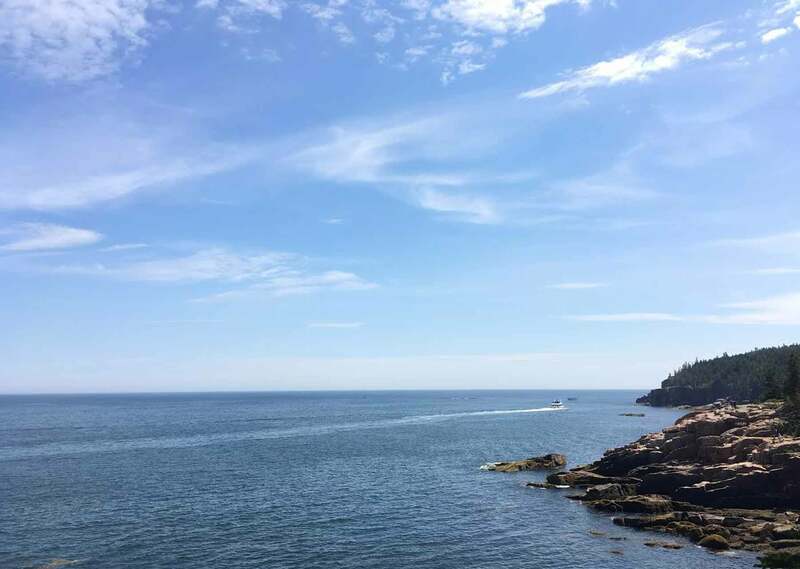 And those of you who are familiar with Acadia National Park will likely agree that images of its rich, coniferous forest bordered by rocky coastline and vast, unbroken ocean are enduringly iconic. Originally home to the Wabanaki native peoples, Mount Desert Island saw numerous attempts at settlement by the French and the English up through the American Revolution. Following the war, the land was parceled out and soon supported booming fishing and shipbuilding industries. During the 19th century the island was favorably depicted by artists and journalists—notably by the painters of the Hudson River School, earning them the nickname “Rusticators.” The newly publicized island became a haven for affluent vacationers, with the likes of the Rockefellers and the Vanderbilts building extravagant ocean-side estates. Citing the brisk rise in development and the invention of the gasoline-powered portable sawmill, some saw a need to begin working to reclaim and preserve Mount Desert Island’s landscape. One such individual was George Bucknam Dorr, a man of some influence and a steadfast advocate for conservation. In 1901 Dorr established the Hancock County Trustees of Public Reservations, an incorporated entity which by 1913 had acquired 6,000 of the island’s acres; three years later, President Wilson designated this area as Sieur de Monts National Monument. Dorr continued to acquire additional land and earnestly petitioned the federal government to offer protected status to the island. 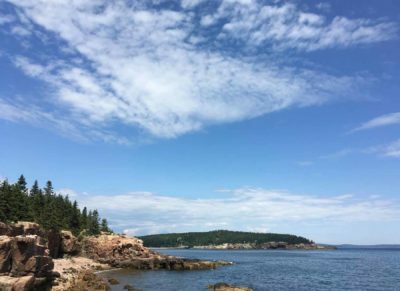 His labor of love reached fruition in 1919 when President Wilson signed an act establishing 47,000 acres of Mount Desert Island’s forests, mountains, and coastline as Lafayette National Park, later changed to Acadia National Park. Dorr would spend his remaining years acting as the park’s first superintendent, fighting for further land acquisitions until his passing in 1944. 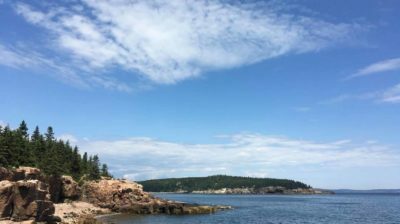 According to the National Park Service’s history, “it was Dorr’s vision and passion that ensured lands would be set aside for preservation and protection for future generations.” He would later be known as the Father of Acadia National Park. Saved to future generations as it has been to us, in the wild primeval beauty of the nature it exhibits, of ancient rocks and still more ancient sea, with infinite detail of life and landscape interest between, the spirit and mind of man will surely find in it in the years and centuries to come an inspiration and a means of growth as essential to them ever and anon as are fresh air and sunshine to the body. 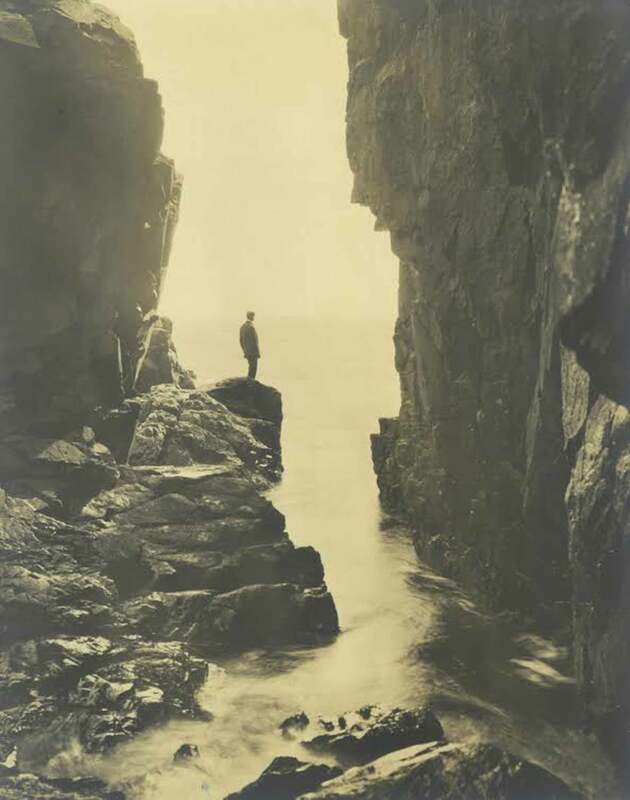 The poignancy of George Bucknam Dorr’s tireless efforts to preserve his beloved island was equaled only by the stunning images I found in the Mount Desert Island photo album. The images were captured by none other than Dorr himself and evoke the drama and serenity of an untouched wilderness. Photos by George Bucknam Dorr. As a lover of everything outdoors, I was captivated by the Acadia that Dorr’s images captured. I was also struck by the permanent, unchanging quality lent to the land by merit of his efforts and the federal government’s protection. As near-serendipitous luck would have it, I came across the Mount Desert Island photo album on the eve of a week-long vacation in Maine. I decided to see Acadia for myself—and to walk in Dorr’s footsteps and see the land from the perspectives he offered in his photographs. The exposed rocks of Acadia’s coastline have stood the test of time; its boundaries look much the same today. 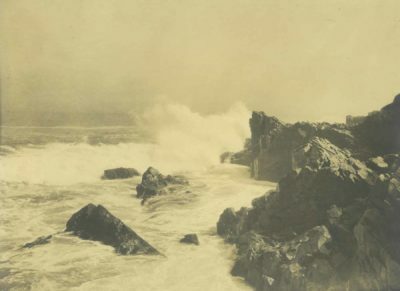 Not everything has stayed the same; designated walkways along the coastline aid conservation and mitigate erosion, but somewhat limit user experience. 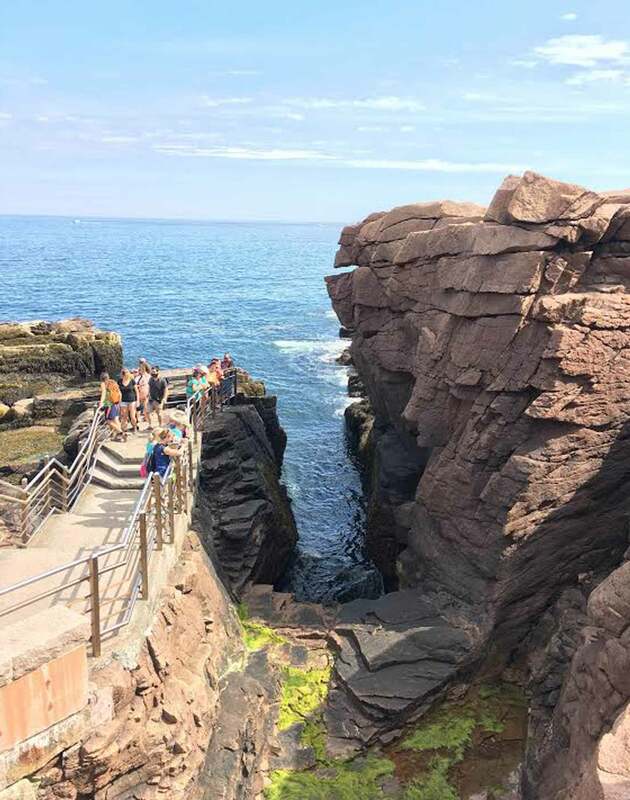 This feature is known as Thunder Hole. Caves and divots like the ones above line the rocky coastline, especially along this peninsular outcropping on Newport Cove, adjacent to Sand Beach. Visitors can glimpse the ocean from oft-used paths carpeted with dried pine needles. Each of Acadia’s long-standing hiking trails offers a different perspective of the park; the one above is called the Ocean Path trail. Numerous islets are visible from the Ocean Path trail. Conservation, “the preservation, protection, or restoration of the natural environment,” is quite literally resistance to the change and degradation inherent to the passing of time. 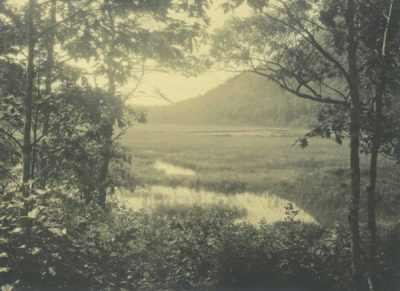 George Bucknam Dorr, recognizing the potential impacts of development, technology, and consumerism, advocated for Acadia’s conservation and in doing so allowed future visitors to experience the land as an unchanging entity. His influence can be seen in the care given by the park’s contemporary stewards and in visitors’ reverence for its paths and features. 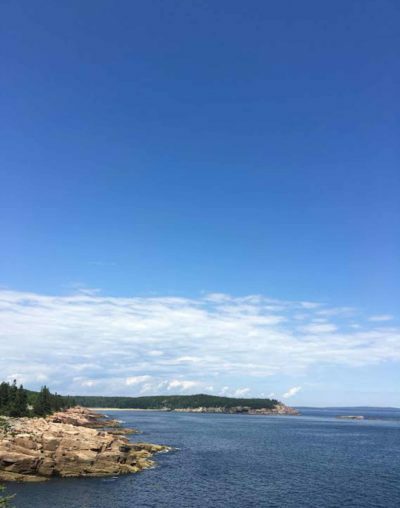 My experience at Acadia and, indeed, my work with the Phillips’ manuscript collections, lent me a new perspective of the work done by special collections librarians and conservators—in particular that the act of preserving a single item is, in a way, an effort to preserve a moment in time for the benefit of future researchers. George Bucknam Dorr’s Mount Desert Island photo album can be found at the Phillips Library using the reference number Ship. Mss. 137+. 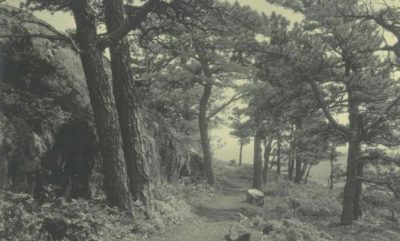 Additional historical background on Acadia National Park and George Bucknam Dorr can be found here. Information on visiting Acadia can be found here. U.S. National Parks Service. 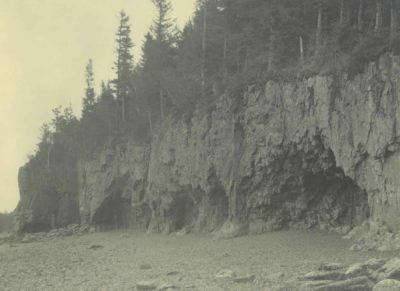 “The history of Acadia National Park and Mount Desert Island.” Accessed August 9, 2016. https://www.nps.gov/acad/planyourvisit/upload/history.pdf. U.S. National Parks Service. “George B Dorr.” Accessed August 9, 2016. https://www.nps.gov/people/george-b-dorr.htm.